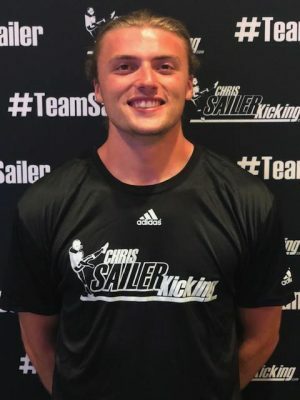 Chris Sailer Kicking – Week 8 College Players of the Week, John Barron II & Yanni Routsas Honored! 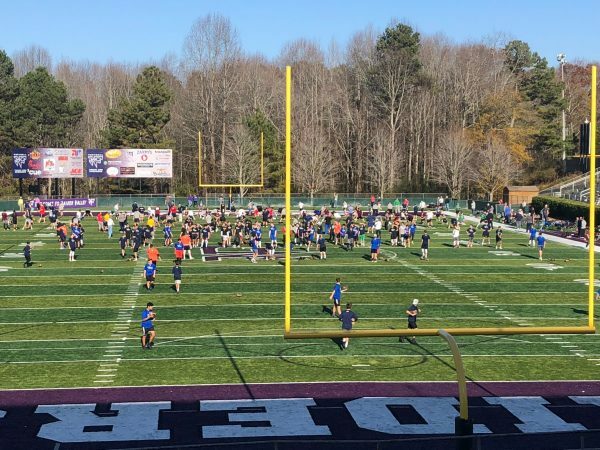 2018 NC Fall Camp Recap – Camden Lewis Wins It! 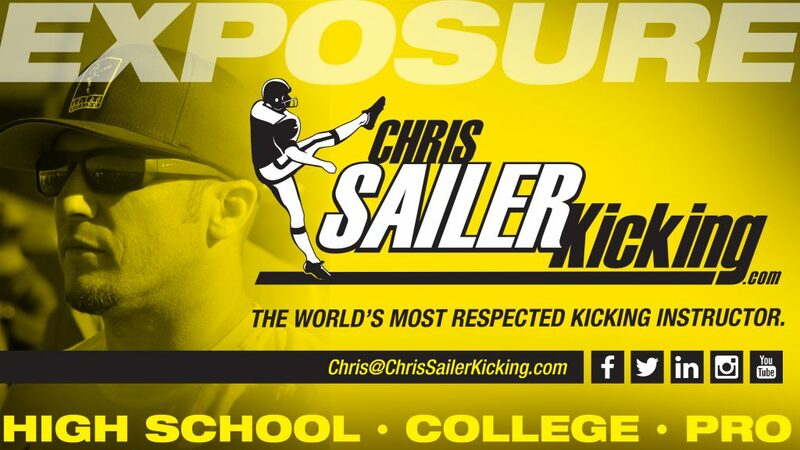 The long time Chris Sailer Kicking student, 2-Time TOP 12 Member and Minnesota commit shined once again. 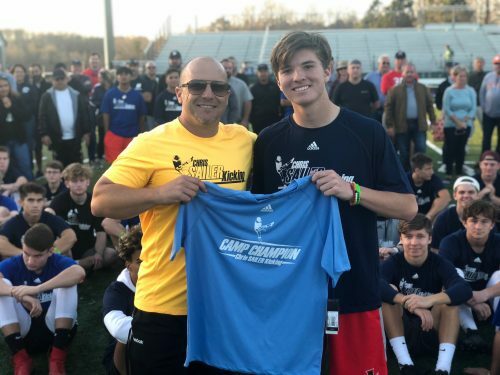 He dominated field goals competitions by going 100% on the day and connecting on multiple 50-60 yard field goals. 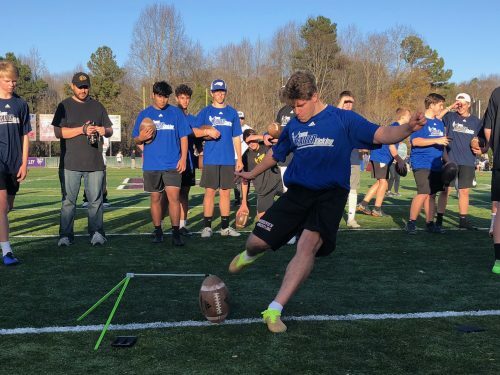 Camden was also strong as usual on kickoffs averaging 70+ yards with outstanding hang time. He is ready for the next level without a doubt. The Gophers got a great one! 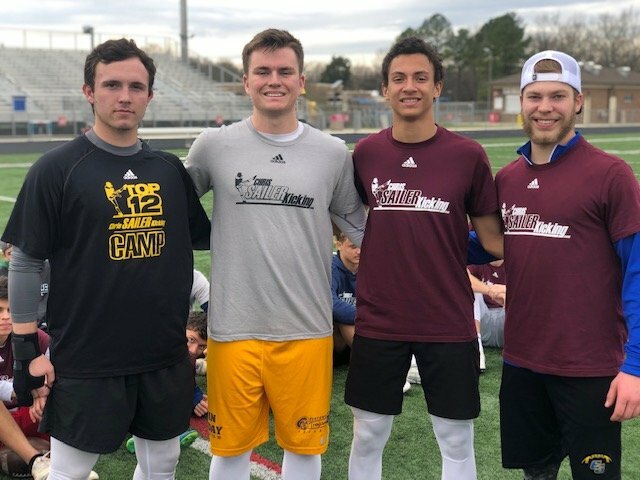 Jesse had his best performance at a Chris Sailer Kicking camp to date. 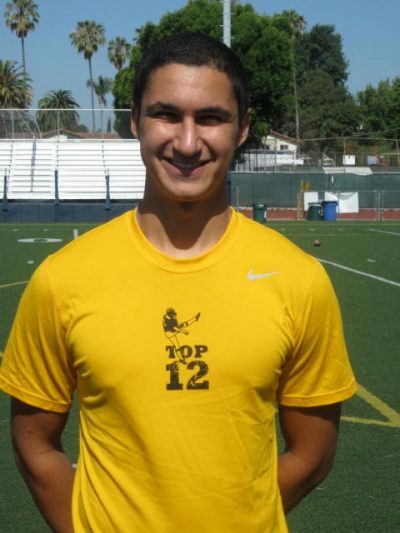 He has come a long was and proved that he is a major college prospect. 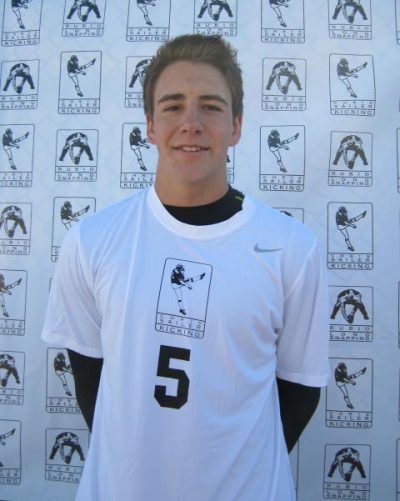 He averaged 65+ yards on kickoffs with 3.9-4.10 hang time. 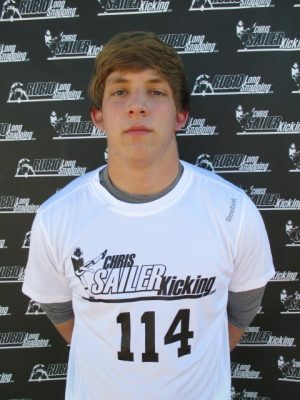 He was also strong on field goals. 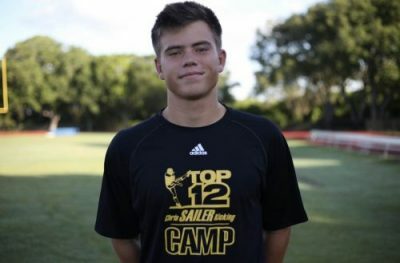 Jesse is a poised, confident and mature kicker that is going to make a fine addition to a college football program. 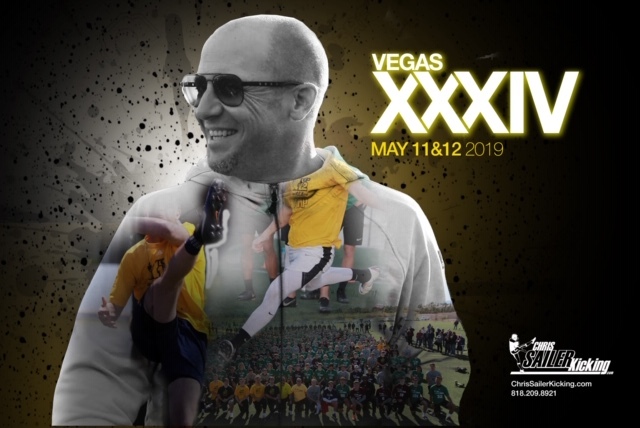 Look for him to dominate at Vegas XXXIII. 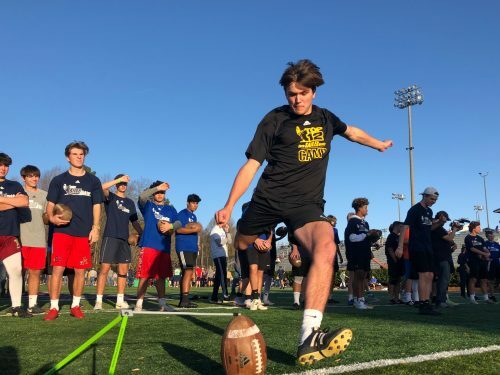 Owen was one of the most impressive newcomers to Chris Sailer Kicking without a doubt. 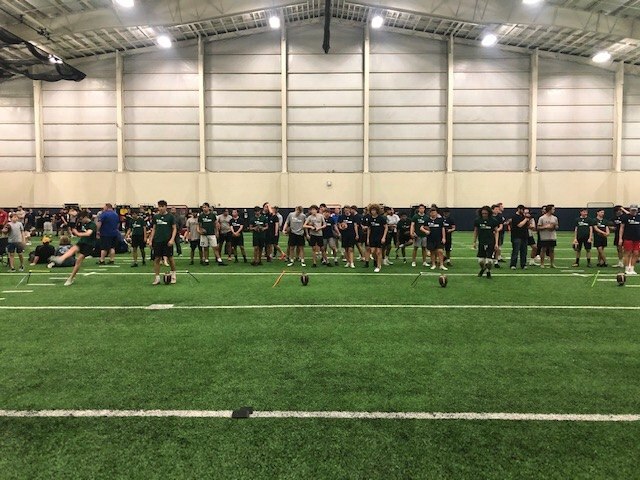 He is a phenomenal athlete with a big time leg. 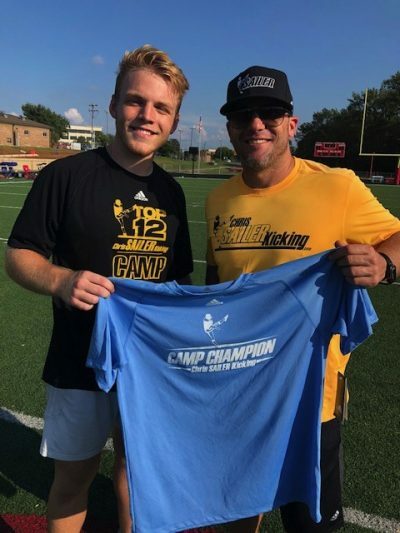 He won a major field goal competition by going 7-7 with a long of 57 yards. He is also strong on kickoffs. The ball absolutely explodes off his foot and his natural talent is obvious. 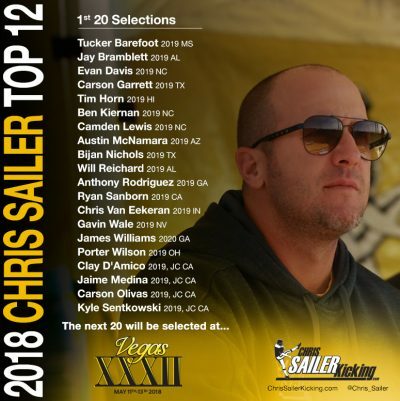 Owen should challenge for a TOP 12 Spot at Vegas XXXIII. 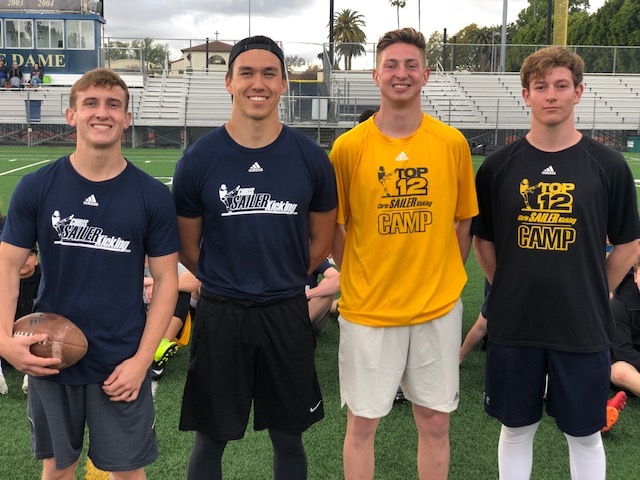 Collin is a one of the biggest “sleepers” in America in the Class of 2019. 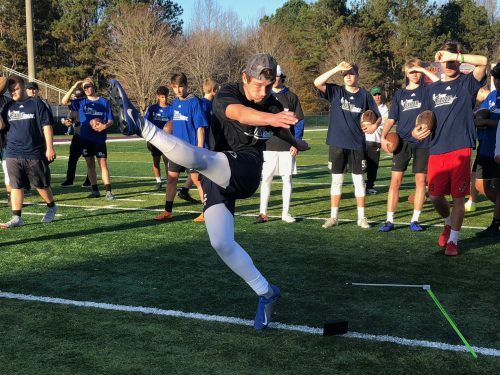 He has a rocket for a leg and has future college potential written all over him. 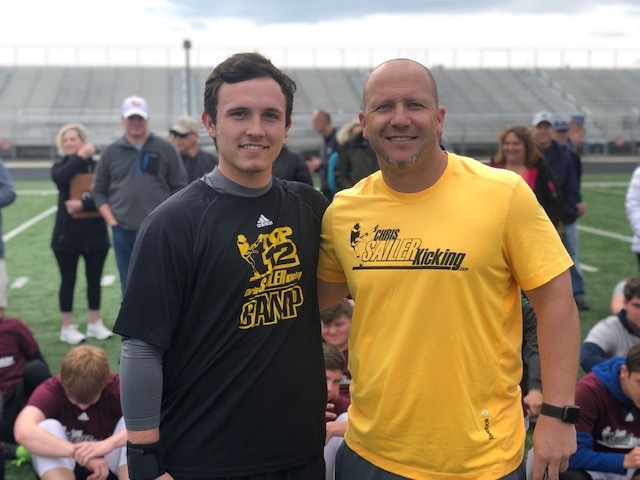 He averaged 45+ yards per punt with 4.4+ hang time on the day. 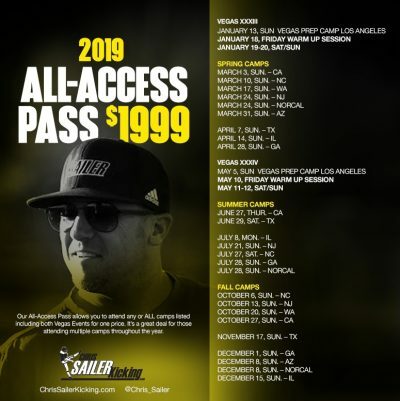 His best balls measured 50+ yards with over 5.0+ hang time. 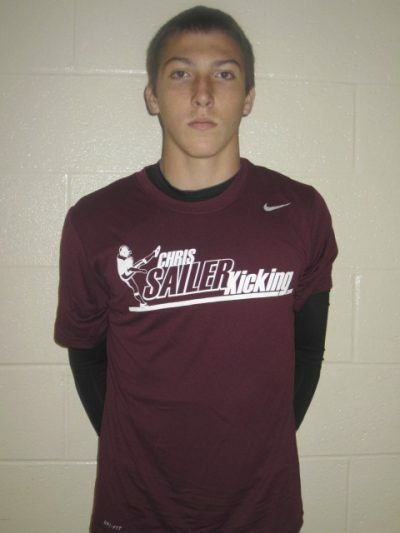 Collin also hits a D1 ball on kickoff. He drives the ball deep into the end zone with great hang time. 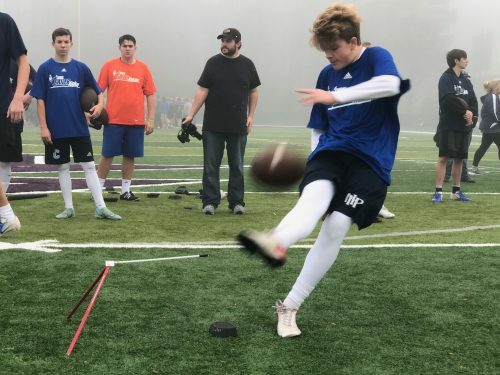 His field goals are also solid off the ground. 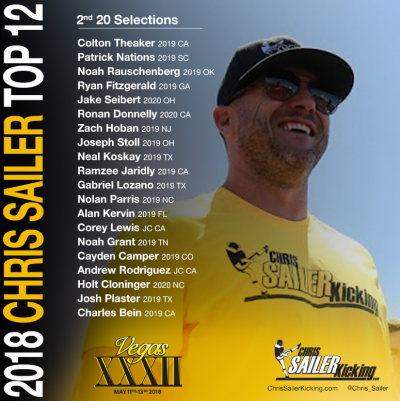 Vegas XXXII will be a huge platform for him to cement a college spot. 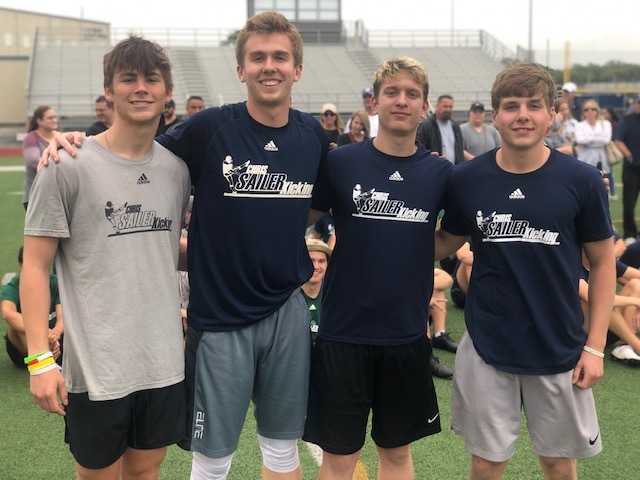 Class of 2019 Standouts: Camden Lewis, Collin Smith, Jesse Klein, Caden Bonoffski, Max Blitstein, Devin Baldwin, John Price, Justin Johnson, Carson Green. 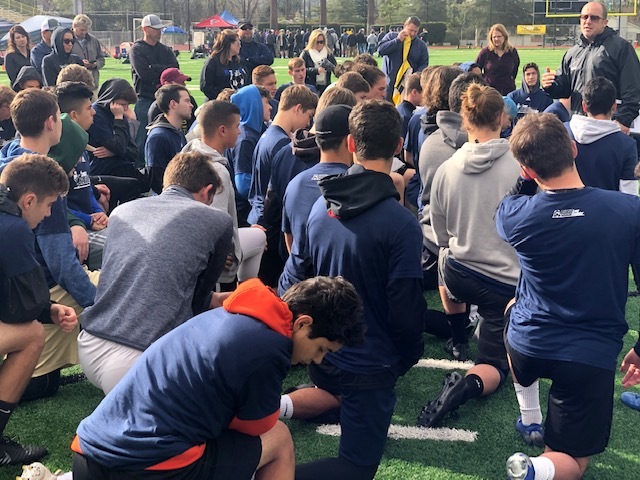 Class of 2020 Standouts: Owen Daffer, Holt Cloninger, Sam Massick, Andrew Brown, Ben Steele, Edward Dellinger, Graham Gotlieb, Grant Wood, Hayden Olsen, Henry Bishop, Jackson Kennedy, Jonmichael Elliott, Mitchell Gallucio, Tanner Robbins, Caleb Brickhouse, Dillon Stripling, Isaac Riffle, Jacob Baker. 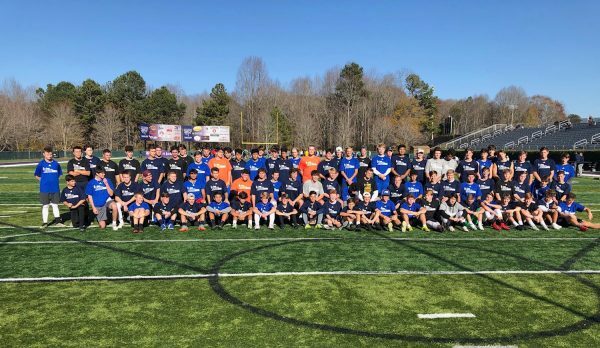 Class of 2021 Standouts: Will Fowler, Connor Lytton, Gray Carter, Hunter Crute, Marshall Nicholls, Jake Marion, Landon Knepp, Bailey Owens, Jonathan Medlin, Trevor Moss, Braeden Haynes, Brayden Rivers. 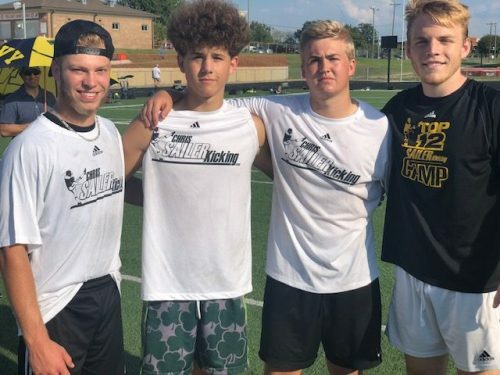 Class of 2022 Standouts: Will Pelz, Bryce McFerson. 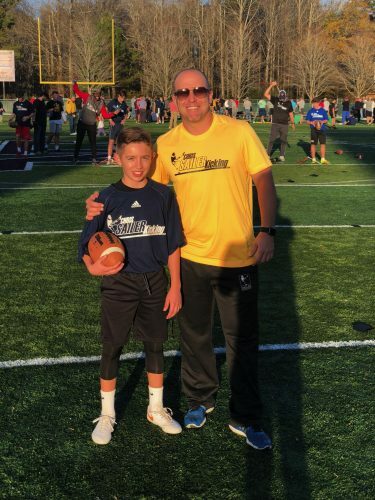 Future Stars: Jacob Carter, James Gregory.